Graphic design for the exhibition 'Thirty Years of Architecture in Flanders – The Wonder Years in architectural models' in collaboration with FELT. 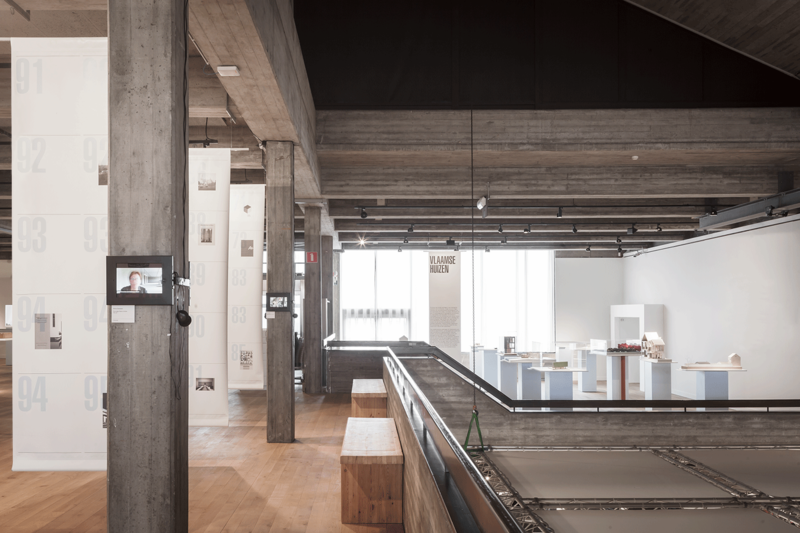 The exhibition featured the groundbreaking and pioneering projects from that period. In reply to FELT's landscape of plinths banners were placed amid a grid marking clusters of maquettes. 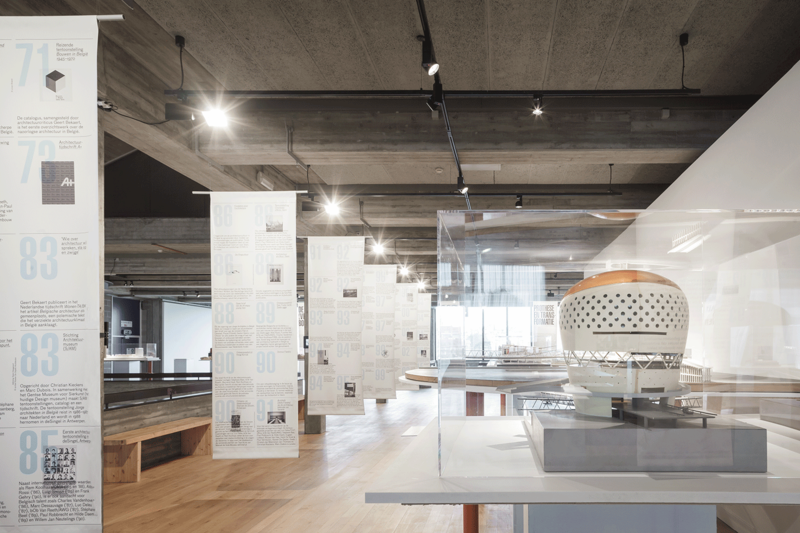 A timeline with a comprehensive overview of the leading figures, facts and events that have contributed to the flourishing architectural culture of Flanders was placed in the center of the exhibition. 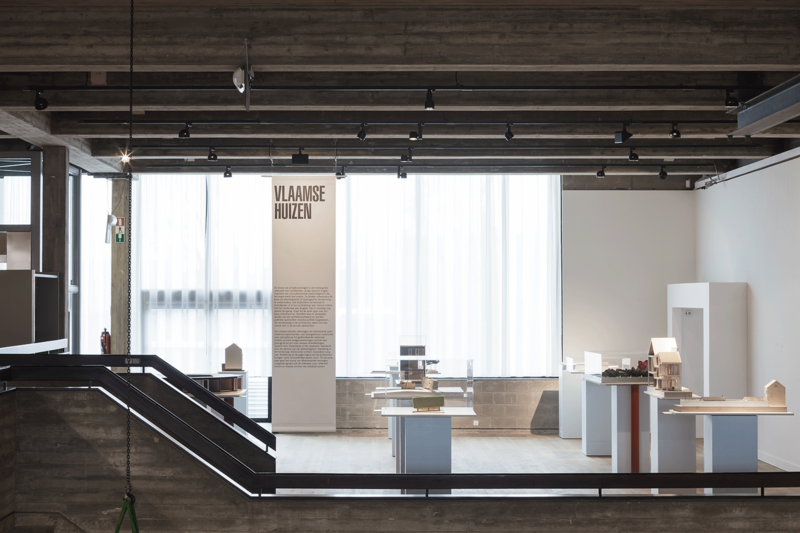 The Wonder Years is a production by CC Knokke-Heist and the Flemish Architectural Institute. Photography by Stijn Bollaert.